One thing Southern California residents are not used to, even in winter, is a lot of rain. But 2019 has been incredibly wet and cold, which has led to a lot of grousing among residents. 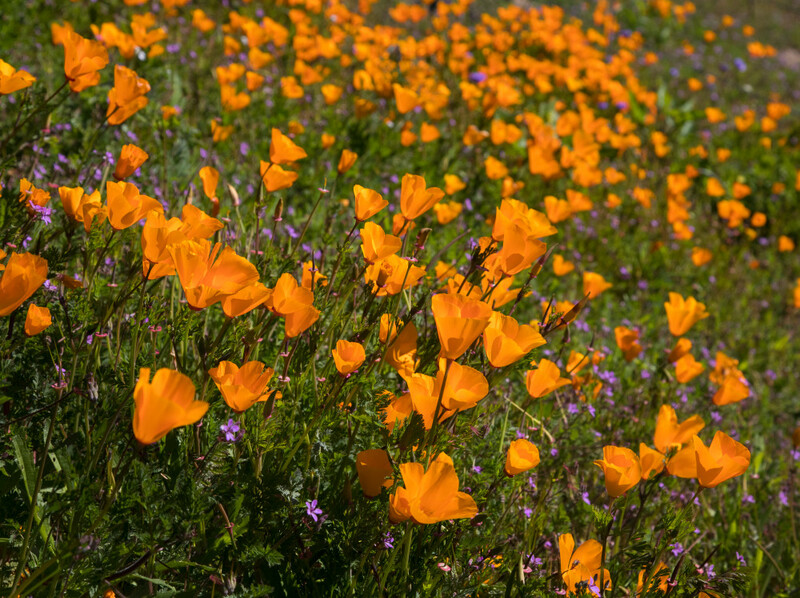 But the upside is undeniable – poppies are a popping up all over! The official state flower, these small orange blooms grace the hillsides with color, charm and cheer and encourage motorists to pull over to the side of the road and, yes, stop and smell the flowers. And photograph them, of course.